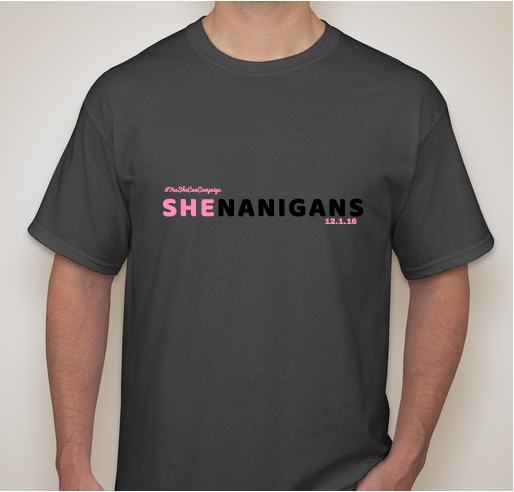 All funds raised will go directly to YESSHECANCAMPAIGN . Join us on our climb as we raise money to send Michelle Obama new book "Becoming" to inspiring young girls and young women nationwide who are passionate about making a change and continuing their education. We have reached 1,000 + students nationwide through our programming and digital content. 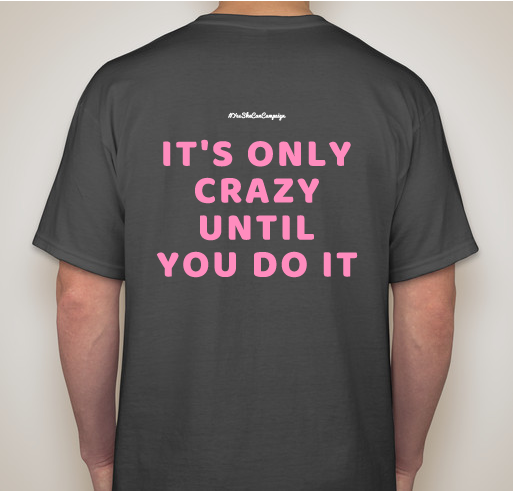 Many people have called us crazy and said our organization will never survive. Despite the obstacles, we continue to keep climb. We have shown the country that it is only crazy until you do it. Mrs.Obama has inspired us to continue our education despite the obstacles. She taught our generation to eat healthier and exercise. She inspired young black women that they too can become anything they want too with hard work and dedication. The YesSheCanCampaign is all about empowering and inspiring young women across the country to keep climbing through their adversities, we as an organization are the helping hand that guides them through these adversities so that they too can climb to the top. Join us on our climb as we fundraise to send "Becoming" Michelle Obama books to these inspiring young girls and young women nationwide who are passionate about making a change and continuing their education. This shirt is a limited edition and was created in celebration of our 2nd anniversary that will be on December 1, 2018. Since our founding, we have reached 1,000 + students nationwide. 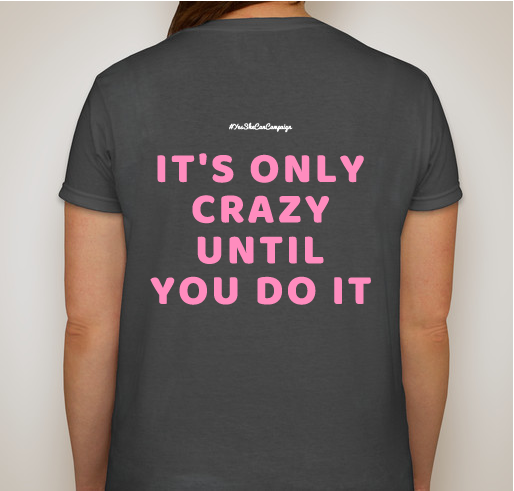 This shirt is for all the young people whose goals and dreams have been called crazy or shenanigans. We hope we have inspired you to never give up on your dreams and to keep climbing. 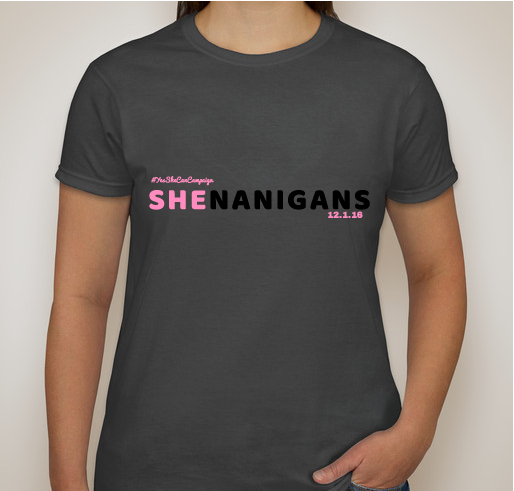 YesSheCanCampaign is a 501(c)(3) youth-led non-profit that empowers, inspires and shares the stories of women who are overcoming adversity while striving to complete their education. We provide educational resources to young girls, young women, and youth across the country. Our Founder and Executive Director, Zaniya Lewis, started the organization after winning two national contests. The first gave her the opportunity to travel with the NBA and NBPA on an incredible service trip to South Africa. The second contest gave her the opportunity to grace the cover of Seventeen, May 2016 issue, with Former First Lady Michelle Obama. The campaign is run by high school and college students from across the country. Our organization is based in Edgewater Park, New Jersey. We use social media and live events to empower and inspire girls and young women to share their stories. Then we give them the tools to use their stories to make a difference and to ensure they continue their education. We have reached 1,000+ girls, young women, and youth nationwide through our programs and social media content. What sets our organization apart is that these young girls and young women are hearing from ordinary girls and women who are going through similar situations as they are. This movement is about students helping students. We truly believe young people can make a difference. We all have experienced and understand hardships. 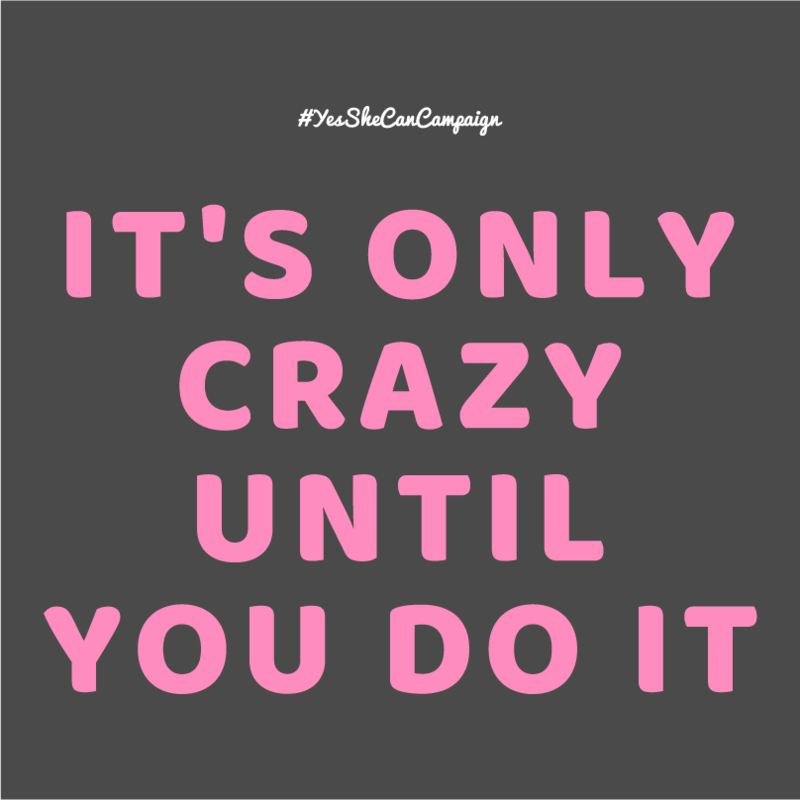 The Yes She Can campaign helped me find my voice and for that I’ll always support the cause! 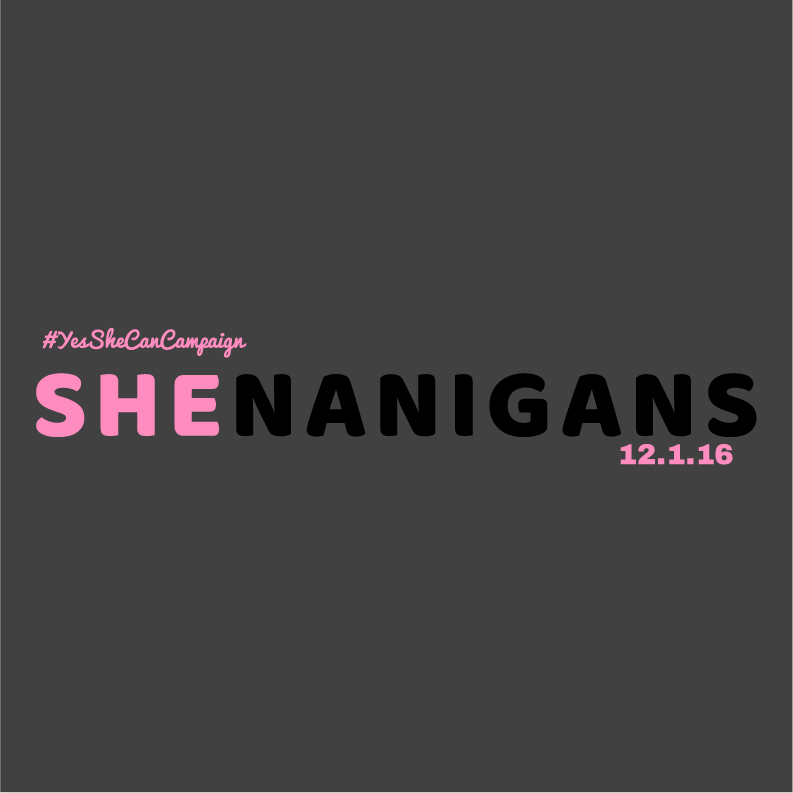 The YesSheCanCampaign is a wonderful organization and I'm grateful that we have a chapter at my university! Share Why You Support "YesSheCanCampaign: The Climb for Books"